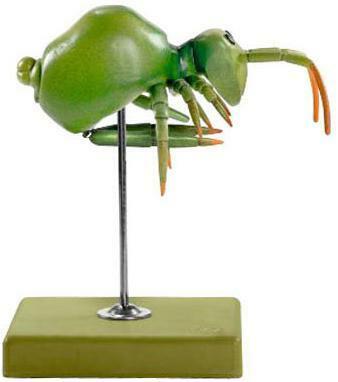 This is a model of a Sminthurus viridis L. (Collembola) enlarged 90 times, in SOMSO-Plast®. Modelled from nature. On a stand with base. Height: 17 cm., width: 22 cm., depth: 15.5 cm., weight: 400 g.